Our Sixth Form takes great pride in all that we do, whether through academic study or extra curricular work. We have high standards and expectations of everyone in order to benefit our whole community. However, life in the Sixth Form is not just about examination courses. Your time as senior students will form the back drop to choices that you will make about the world of work or University education. You will be given the opportunity to develop a wide range of other skills (leadership, sporting, organisational, presentation, mentoring students) as part of the commitment of the Sixth Form to the wider school community. Key to your success will be your commitment to using your time effectively. By working closely with all our staff and community, you will acquire self discipline and responsibility, and we take pride in your achievements, supporting and sharing your aspirations for the future. Full attendance is a pre-requisite for success on all A Level and BTEC courses. Students are expected to register twice daily with their Tutor, with morning registration at 8.40 am and remain at school until the end of the day at 3:10 pm (3.45 pm on a Wednesday). Students may leave the school site at lunchtime (1.15 pm -1.55 pm), but must return for afternoon registration. Students are expected to ring or email the Sixth Form Attendance officer before 9.30 am on the first day of absence and every day thereafter, to explain the reason for their absence. For known absences students are asked to complete a prior absence form. There is a strong correlation between attendance and attainment; we expect all students to have an attendance above 95%. Part of what makes the Sixth Form distinctive is our commitment to the spiritual, moral, cultural and social development of you as students. An important aspect of this is the continuation of the Religious Studies programme into Years 12 and 13. As a compulsory element of your studies, the course creates opportunities for students to explore, question, evaluate and reflect on their own beliefs alongside the beliefs of others; growing in understanding of Catholic faith and practice. 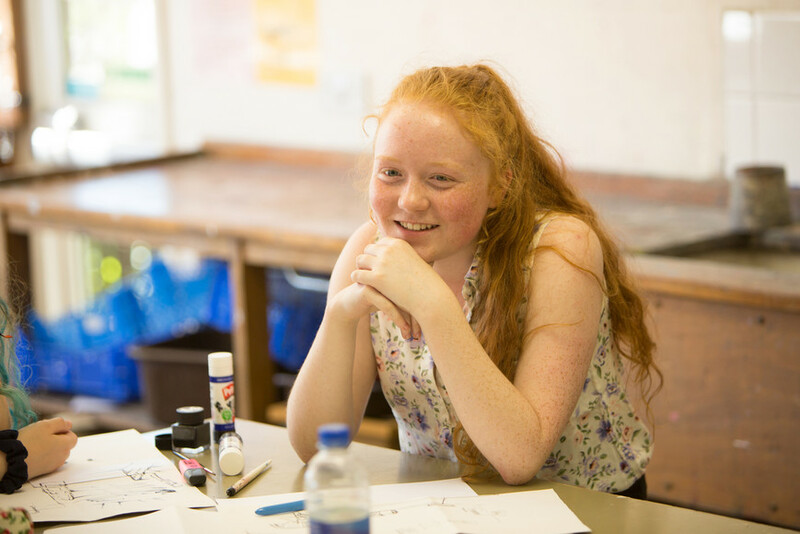 Topics of study are reviewed annually and student feedback is welcomed to create a balanced and relevant programme of study for young people living out their faith in the modern world. Such topics include beliefs about life after death, the role of religion in relationships and the value of marriage in modern society alongside a variety of other philosophical and ethical issues. Although the topics of study are firmly rooted in Catholic Church teaching, the programme embraces and welcomes input from all faith backgrounds, or none at all, which we hope will appeal to all students. The Religious Education department also works closely with the school’s Lay Chaplain in providing opportunities for students to become more involved in developing the Catholic life of the school through student leadership. Such involvement is recognised and welcomed in forming part of the Religious Studies programme, as application of our values and beliefs within our school community and beyond, is truly what makes us a Living Christian Experience. Private study takes place in non-timetabled lessons, and students are not allowed to leave the school site. The Library is a Sixth Form Study area for private silent study where PCs are available. The Senior Dining Room is an area for silent study and the Junior Dining Room is available for group study. Wireless internet access is available for Sixth Form use and a list of free rooms available for study is published for Sixth Form students. Students are expected to use their time effectively, continuing work started and set in classes, and to pursue the wider background reading essential for the successful completion of all courses. Being able to learn independently is key to achieving at the highest level. A dress code is necessary in the Sixth Form for several reasons. A smart, professional appearance encourages an appropriate attitude to the day’s work. It conveys an appropriately mature and purposeful image to all staff and visitors. It sets high standards for pupils lower down the School to aspire to and it is excellent preparation for the world of professional work after the Sixth Form. Students are responsible for following the standards of dress and appearance laid down in this code. The Director and Deputy Director of Sixth Form, Form Tutors and all Staff will be responsible for ensuring the Dress Code is adhered to by all members of the Sixth Form. Suit – i.e. jacket with complementary knee-length tailored skirt, (stretchy skirts are not permitted), dress or matching full length trousers, not “skinny” black jeans, culottes or Capri pants. Shirt or smart top without logos. No excessively short skirts, no shorts or leggings. Smart shoes (not trainers or other thick-soled casual shoes). No excessively high heels. No boots. Vest tops and tops that reveal midriffs are not suitable. Suit – i.e. navy, grey or black tailored jacket and matching trousers. Shirt with tie. Top button done up. Smart shoes (not trainers or other casual shoes). Facial and body piercings should be removed. This dress code sets very clear parameters for the Sixth Form. However, experience shows that, within these, there is a great deal of room for individual expression and I look forward to working with a Sixth Form filled with smart, stylish students. Students not adhering to the dress code will be sent home and expected to return to School the same day properly attired. Missing lessons would be deeply regrettable but it is vital that standards are maintained for the sake of the School as a whole.